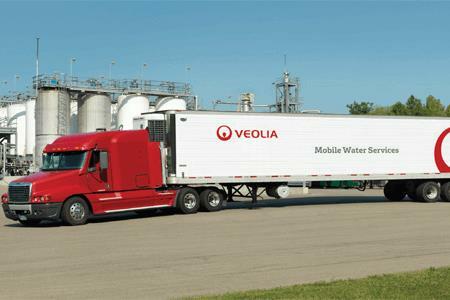 Veolia Water Technologies provides mobile water and wastewater treatment solutions to cover emergency, temporary or long-term water treatment needs. These solutions are deployed via stand-alone units or in combination to form complete systems with state-of-the-art purification technologies. Mobile solutions use our ACTIFLO®, Hydrotech Discfilter™, reverse osmosis, ion exchange and multimedia filtration technologies, delivered through trailers, containers and skid-mounted systems. Mobile solutions including modular treatment plants for industries with short, mid, or long-term purified water needs.